Wow, I still can’t believe this picture! What you are seeing is Spanish bullfighter Julio Aparicio, 41, getting gored by a bull during a bullfight during the Festival of Saint Isidro, an event considered to be the most important on the bullfighting calendar. 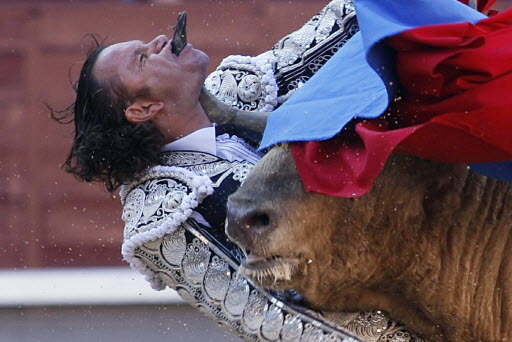 The bullfight took place on May 21, 2010 in Madrid.